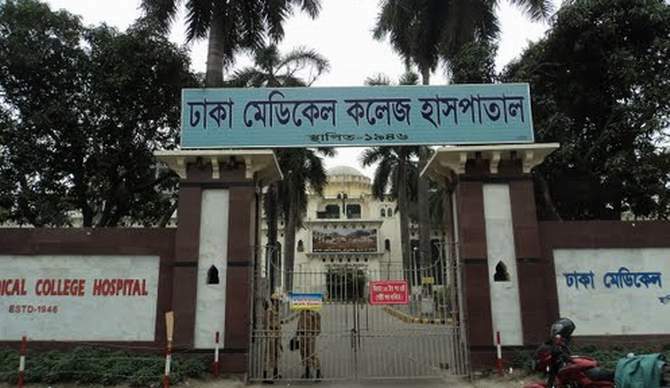 A three-month-old baby girl was stolen from a ward under medicine department of Dhaka Medical College Hospital (DMCH) early Tuesday. Bachchu Mia, in-charge of DMCH police outpost, told UNB that some unidentified miscreants stole the baby girl, Zim, from her mother's lap while they were sleeping at a patients' ward, UNB reports. Md Jewel, the father of the baby, was admitted to the hospital with some health complications on October 31, while his wife Sajeda Begum along with her baby girl was also staying with him. Last night, the family went to sleep after having their dinner. At 12:30 am, the couple spotted that their baby girl was missing. Police were trying to trace the baby, said Bachchu.